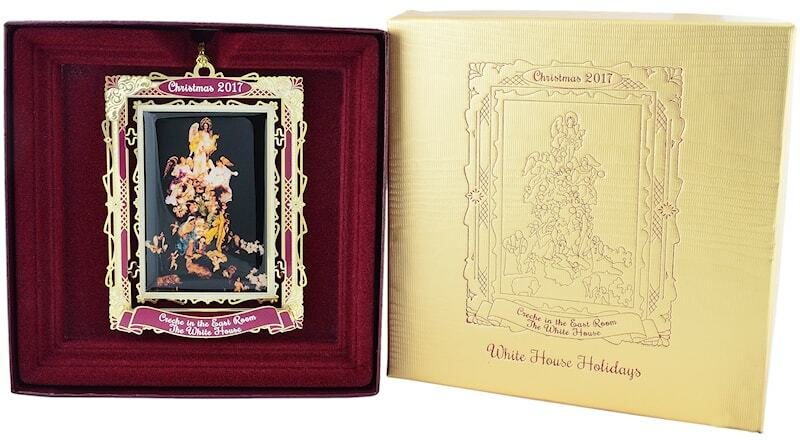 The second annual White House Holidays Ornament was released in memory of John F. Kennedy. May 29, 2017 commemorated the 100th anniversary of John F. Kennedy’s birth. 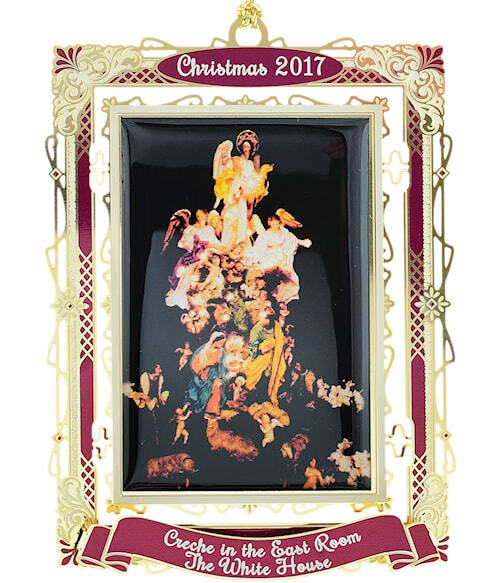 The 2017 White House Holidays Christmas ornament features the Creche displayed in the East Room of the White House. 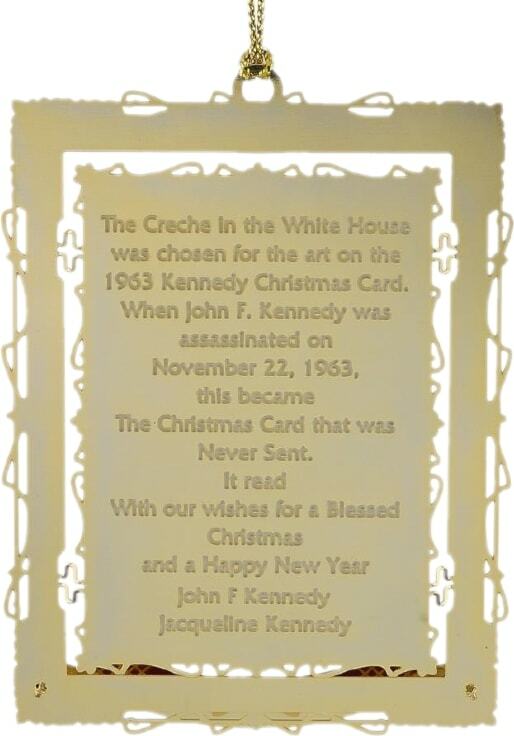 The Creche in the East Room was the art for the 1963 official Presidential Christmas Card for President & Mrs. John F. Kennedy. Due to the President's tragic death, the cards were never sent. Before departing for Dallas, the President and First Lady signed less than 30 of what were to become rare collector's items. Each year since the first Kennedy Christmas, an 18th century Neapolitan creche has been on display in the White House. In 1961 Loretta Hines Howard, a noted collector of religious figures, installed the creche in a niche in the East Room against a backdrop of gold curtains. The individual figures - men, women, angels, animals, kings and cherubs depicted the Nativity scene are arranged in a pyramid shape symbolic of the evergreen tree. In 1967 a permanent gift of the Nativity was given to Mrs. Lyndon Johnson and is part of the White House collection. This White House Holidays commemorative Kennedy Creche Ornament is not to be confused with the Official White House Historical Franklin D Roosevelt ornament.